Jasmin Becker (Owner of Mane Imports,LLC) has been an active multi-discipline equestrian competitor since she was six years old. Jasmin believing in education, acquired her BA in Biology and an M.S. in Environmental Biology with a Policy Certificate. She worked for several environmental consulting firms before deciding to start her own “equestrian consulting” company, Mane Import, LLC (www.maneimports.com) in 2003. Believing in education, Jasmin left for Germany to learn dressage from the top riders in the world. After only a week in Germany, Jasmin was invited to test for her small and high Bronze medal. In 2005, Jasmin was awarded both the high and small bronze by the Deutsche Reiterliche Vereinigung (German FN). Believing in furthering her education, she decided to go back to Germany for her Trainers license. 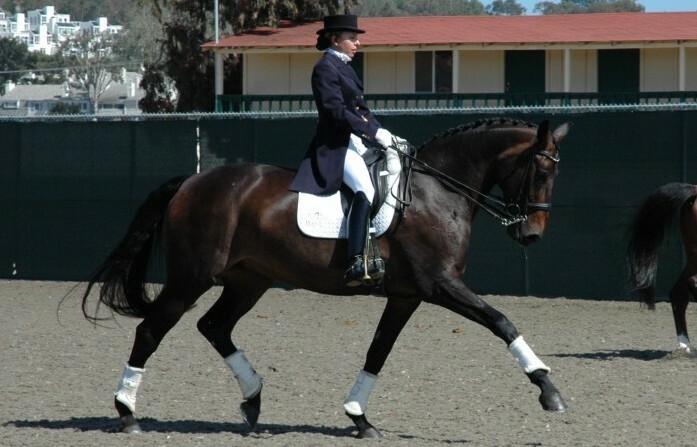 In 2006, Jasmin earned her German Training License from the Deutsche Reiterliche Vereinigung (German FN) by demonstrating proficiency, as both a rider and instructor in dressage, stadium jumping, cross-country and lunging, including written examinations and oral theory presentations. A panel of 8 judges, including one FEI judge, evaluated the testing. Jasmin received top scores in all the testing but was thrilled to learn that the teaching portion of the exam was earned with distinction in all three disciplines. On the American front, Jasmin has earned her USDF bronze medal and her USDF silver medal with her horses De Libris and Romie. Currently, she is only two scores away from her USDF gold medal. Jasmin now has the skills to train a rider and horse through the Grand Prix. 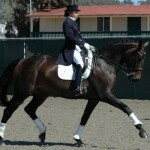 In 2011, Jasmin received the second highest grant awarded by the Dressage Foundation (http://www.dressagefoundation.org/home.htm) through a grant via the Renee Isler Fund. Jasmin has also received grants via The American Horse Trials Foundation (AHTF) (http://ahtf3day.org/riders_area.html). The AHTF is a non-profit corporation established to enable athletes to compete at the national and international levels.